Every job comes with rules. Of course, some rules should be broken, given a fresh take and breathed some life in. However, there are some rules that you should never break. Magazine cover design is a good example of a job where some rules are there for a reason. We have witnessed many magazine cover design mistakes in the past because of people that just felt rebellious. The results were not pretty. First thing that you should learn – and stick to – are the rules of hierarchy. In the design world, this means that you are using a specific arrangement and design of elements to signify importance. This can be done through scale, color, type and so on. If certain parts of content or design are more important, emphasize them while leaving less important parts behind in comparison. Magazines are read by many people and different groups. However, there is a general knowledge of who the main audience is. To capture their attention, you have to design with them in mind. Serious business people won’t be attracted by a colorful design with childish font. They will be attracted by an elegant, simple, formal design. There are many magazine cover design mistakes that you can make with fonts. First rule is not to use more than two fonts – one for the title or emphasized text and one for the body. They should work well together and look good. As mentioned, keep the audience in mind when choosing fonts. ‘You should never use colors that make the text hard to read. Contrast is fine but if it’s too strong – say, red on green or vice versa – it’s not readable. Use your common sense on this one. If you can’t look at it for too long, neither can readers. ‘says Mary Hill, a publishing manager professional at Writemyx. Design has a lot to do with colors. First, you need to look at it from your audience’s standpoint. Use colors that would appeal to them. Next, don’t use bright colors on bright backgrounds or dark colors on dark backgrounds. Create a contrast. Colors should also be compatible. For instance, navy, orange and white. Whitespace is your friend. It’s not overwhelming the reader. It looks simple, elegant and serene. Just look at Google as the prime example. White space isn’t empty or bad, it’s a powerful tool that helps you add clarity and beauty to your design. Magazine covers don’t have to be stuffed with color and design elements. ‘It was fun to use Paint, Word Art and so on when it came out. As kids, we would put various effects and clip art on our drawings. However, we are far away from those times. 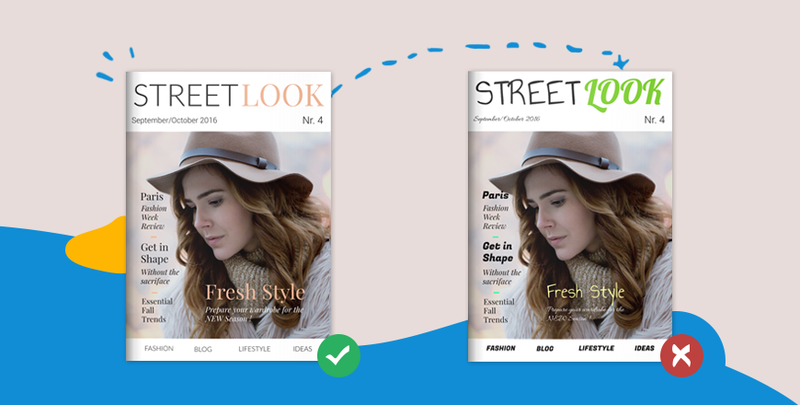 You don’t have to use all of the design elements on your magazine cover. Make it simple and add a single powerful effect. ‘ says Anna Beth Piercy, a design blogger at OriginWritings and 1Day2Write. One of the most important things about magazine cover design is consistency. You have to remain in line with the brand if you want to remain recognizable. Don’t change some of the staples of that magazine but rather improve and stay true to the overall style. Stock images are often poor in quality, generic and not creative. For a good magazine cover you need fresh, specific, high quality photos. Find a good photographer to work with and always give him specific instructions on what you need. Kerning may not seem like much, but it’s important. Bad placing and spacing of the letters is annoying and not good even when used for an effect. Respect this basic rule of design and fix the kerning as soon as you notice that something isn’t right. The same goes for spacing between words. Before you can start designing, you need to have all of the necessary information – the medium where your design will be published, for one. Design changes as the cover transitions from mobile or desktop to paper. The coloring will not be the same, the design will not be the same and so on. If your cover is getting printed, you need to move your design away from the place where the binding will be. While design is a creative discipline and there are certainly some rules that you can play with, stick with the rules that are there for a reason. 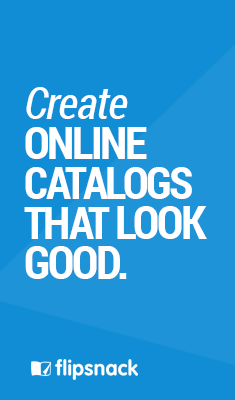 Don’t insist on design over readability and consistent style of the magazine. Joel Syder is a business analyst who writes for Academic Brits. In his free time, he likes to help people realize their full potential in IT field which he finds really exciting. Joel also enjoys writing articles on other topics that spark his interest.